Chipped dental crowns aren’t impossible to fix. You’ve just had an accident— and now realize that your dental crown appears to have chipped. Should you worry about your chipped dental crown? How soon does it need to be fixed? 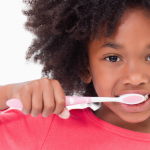 Could the damage have an impact on your overall dental health? Ceramic: Often used to restore the front teeth because of their natural color, ceramic crowns are made of a porcelain-based material. Resin: Most often used for a temporary crown, resin is the least-durable option. Resin may have a short lifetime due to its tendency to fracture. Porcelain fused to metal: This is a stronger option than regular porcelain, as it is fused to the metal structure; it is highly durable. Base metal alloys: Very durable crown can be made of non-noble metals that are corrosion-resistant. Gold alloys: Gold bonds strongly to the tooth and is unlikely to fracture; these crowns are made of a mixture of gold, copper, and other metals. Most dental crowns should last between five and fifteen years, while porcelain crowns may need to be replaced more frequently due to their fragility. What to Do if Your Crown Breaks? As soon as you realize you have a chipped dental crown, you should examine the affected area to see if pieces are missing. If it is loose, you should talk to your dentist as soon as possible to determine what to do. Generally it is not advisable to pull it off, but in some cases this may be necessary when there is a possibility of accidentally swallowing the crown. You may experience sensitivity to hot or cold foods if the underlying tooth pulp has been affected by the accident. Be sure to mention this to your dentist. If you are bleeding from the broken crown or tooth, then you can apply a piece of gauze to the damaged tooth. It’s a good practice to rinse your mouth with warm salty water, as this will calm any inflammatory processes caused by the accident. Can a Chipped Dental Crown be Repaired? The answer is yes, but with some limitations. People frequently chip crowns made of porcelain. While a variety of methods are used to create porcelain crowns, bridges, and veneers, each one requires heating the porcelain to very high temperatures. However, dentists with a high level of expertise and the best porcelain repair materials can perform this procedure through composite bonding. A composite material can be bonded to the porcelain when repair is necessary. A composite is the same material used in fillings and bonding. 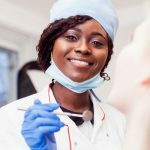 However, this is not an everyday procedure for most dentists, and you should be sure to choose a dentist with a great reputation for their expertise. Some dentists will be unable to perform the procedure because it requires keeping a very specific porcelain repair kit in stock. If the crown has suffered a major fracture, then it may be impossible to repair it in such a way that it is worth doing the procedure. In those cases, you may need to accept the necessity of investing in a new crown. 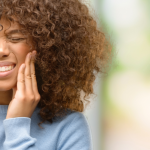 Though crown repair will not work for every case, Penn Dental Medicine provides chipped dental crown repair services for patients fitting certain requirements. Since we operate out of a dental school, our student dentists have access to a variety of materials and technology that many dentists simply cannot keep on hand at their local office. Take advantage of the expertise, low rates, and state-of-the-art technology at one of nation’s top dental schools. Please call our office at 215-898-8965 and explain that you have had a dental accident. 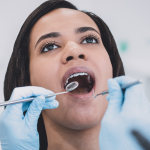 Depending on your symptoms, we can help you determine the right steps to take and schedule you for a prosthodontist appointment if you are a candidate for this procedure.